This was made known during a press lunch in Yaounde on September 18, 2018. The 20th edition of Festi Bikutsi now called International Festival for Bantu Music dubbed FIMBA, will take place at the esplanade of the Yaounde Omnisport Stadium from November 21 to December 1, 2018. This was disclosed in Yaounde during a press lunch granted by the organizers of the festival. Speaking during the press lunch, the Director of the music festival, Rene Ayina, outlined the innovations with the most important ones being: the split of the festival into two scenes; dance scene and cabaret Bantu. There is also the change of name, the digital village and the increase in the number of days from three to ten in order to offer enough time for performances of all Bantu dance and music groups. The festival under the theme, “Promotion and protection of cultural diversity,” will honour a Cameroonian musical icon George Seba, whose performances, according to the director, will encourage young artists to improve on their style of music. Other activities like beauty contest and performances from artists home and abroad will grace the carnival. Rene Ayina regrets the disappearance of other cultural festivals like; “Les rémis”, “le Masao”, and other Jazz festivals. He hopes to use FIMBA to bring back to life these dead glories. 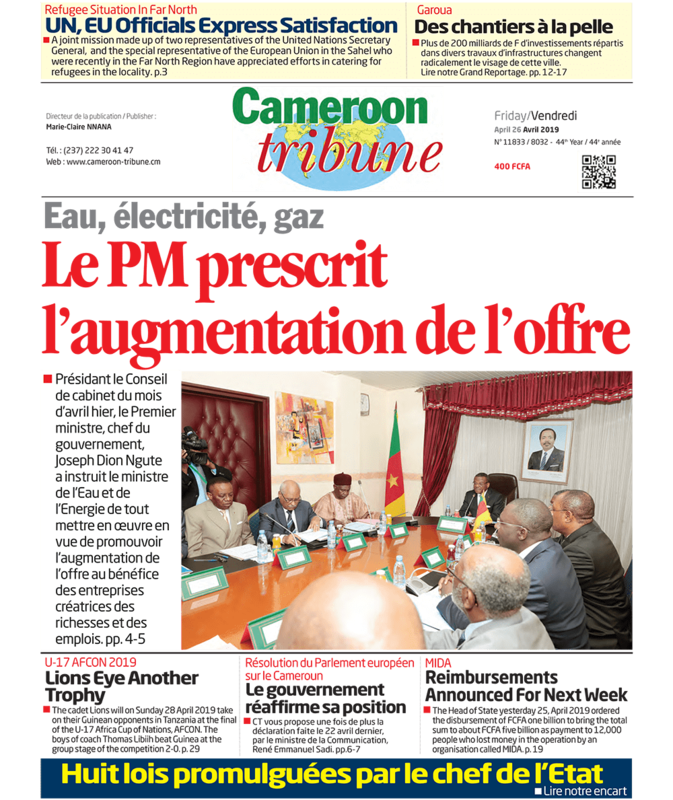 He further wishes to use the fiesta to promote Cameroonian music and provide an opportunity for young artists to express and show case talents. “Dancers and musicians will compete among each other and at the end, winners will take home prizes of encouragement that will enable them excel in different domains”, he said. The Chief Protocol Officer Michel Onla, said FIMBA, will reinforce security, improve on health facilities and make use of fire extinguishers to ensure the safety of all participants. He also called on artists home and abroad to actively participate in the fiesta, for hospitality and merry making will be guaranteed.